"The Wonders," about a family of rural Tuscan beekeepers dragged toward a modern urban mentality, is a throwback to different kind of filmmaking: smaller, more emotionally intense, more tactile. It's also a film in which not much "happens" in the sense that hack screenwriting books keep advising. The show is hosted by an already gorgeous woman named Milly Catena who's made more gorgeous by her flowing white costume, sort of a science fiction upgrade of a saint's robes. In one of the film's many instances of perfect casting, Milly is played by Monica Bellucci. Her appearance transfixes the girls. They stare up at her as if she were in fact a religious apparition, and after that moment Gelsomina is obsessed by the idea of being on the show. The father, the most staunchly traditional member of this ostentatiously traditional family, is against it. But the government has just ordered that honey collectors standardize practices in the area and they don't have the money to do this, so dad's stubbornness prompts some rancor in the family and sets up the next phase of the story, in which the family tries to pick up some extra money by accepting a juvenile delinquent foster kid named Martin (Luis Huilca Logrono) into their house. This section takes too long to play out but is fascinating nonetheless, for the impending sexual awakening it heralds among the girls (Martin has that faintly predatory but objectively blank look that some handsome middle school boys have) and for the tensions it lays bare between the parents of girls. Much of the time when you watch "The Wonder" you're just watching people talk or go on about their daily business. 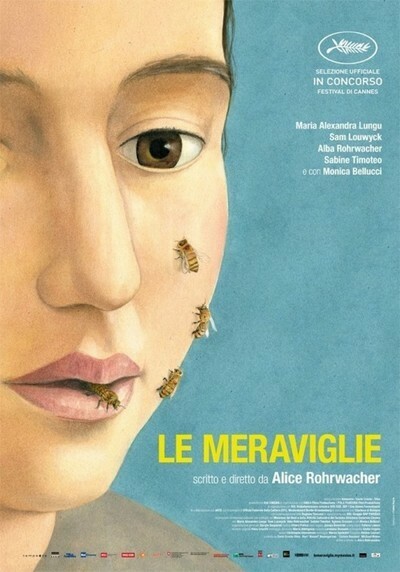 The movie is written and directed by Alice Rohrwacher, whose 2011 debut "Corpus" established her bona fides telling rough yet beautiful stories about real-seeming people. This new movie feels like a continuation of that tradition and also a refinement of her technique. It's shot on Super 16mm film, often in rather long, handheld takes—a throwback way of filming a movie about a family living an increasingly antiquated way of life. Most of the acting feels not like acting, but behavior. It's not trying to seem documentary-like, but there are moments where, if you were just stumbling onto "The Wonders" on TV, you'd be fooled. It wouldn't be correct to say the film has no story; it does. There is forward emotional momentum, it's just not big on traditional plot. But because the progression of incidents is rather lumpy and doesn't have a cause-and-effect that feels intuitively apparent, there are sections where the film drags, and you think, "Why are we still here? We know where things have to go—can't we just go there?" Still, there's something refreshing, at times remarkable, about the sureness of the acting, and the filmmaker's touch. The movie has turned its back on modernity. It seems to want to be a Belgian art house drama from fifteen years ago, or a documentary from about 1971, when moviemakers just found unusual people and situations and pointed their cameras at them and then reported back.